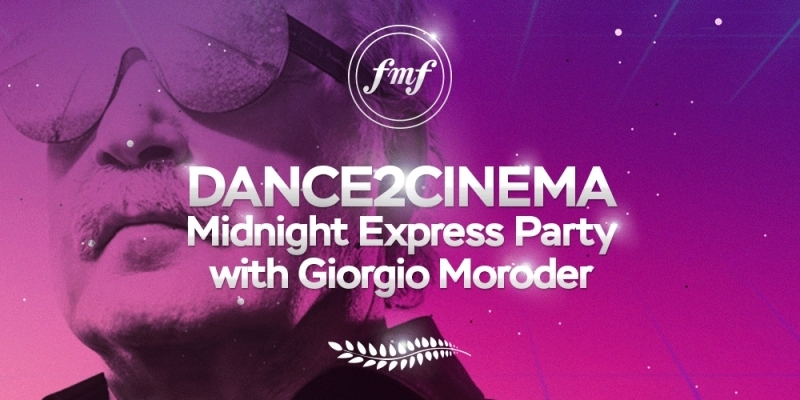 The famous music producer, composer and DJ, the father of Electronic Dance Music, the winner of three Oscars, four Golden Globes and four Grammy Awards– the Italian artist Giorgio Moroder is back to the console after thirty years. The anniversary dance party with the world star at the 10th Film Music Festival will be given on 19 May. We invite you to a night outdoor concert on Jan Nowak-Jeziorański Square in Krakow. Admission is free! Giorgio Moroder’s musical adventure began from his fascination with Paul Anka’s music. He accidentally heard his Diana which caused that seventeen-year old Hansjörg – this is how his mum called him – wanted to play the guitar and sing songs. Soon his started his own label Musicland, in which, unexpectedly, the most famous music groups — Led Zeppelin, Queen and Rolling Stones began to record. The discovery of synthesizer and its use as a musical instrument was another breakthrough. In his interview for ”The Talks” Moroder reminisces that he was shaken by the album Switched-On Bach, recorded by Wendy Carlos. It was a set of Bach’s works played on synthesizers. Then he became aware that the instrument offered unlimited opportunities and wanted to give it a try in pop music. The first pop song Moroder composed in the 1970s for a synthesizer is titled Son of My Father. Then came the legendary piece I Feel Love, recorded with Donna Summer, and still believed to be the most influential pop music piece. After that success Giorgio Moroder moved to Hollywood, where he started working for the film industry. At the turn of 1970s/1980s he composed music for the greatest hits of the world cinema, such as Brian de Palma’s Scarface or Alan Parker’s Midnight Express. Three times Oscar-winning (for the soundtrack to Midnight Express, for the title song for Adrian Lyne’s melodrama Flashdance and for the iconic piece Take My Breath Away from Tony Scott’s Top Gun). The winner of four Golden Globes and of four Grammy Awards. Throughout his carer he cooperated with such stage figures as Cher, Barbra Streisand, David Bowie, Elton John, Janet Jackson, Donna Summer and Freddy Mercury. At the end of the 20th century he withdrew from the industry (having over a hundred gold and platinum records to his credit). He returned in 2013. Then a record of Daft Punk was released (honoured with the Grammy Award) , with the piece Giorgio by Morode, which he co-created together with the group. Since that time he has been active as a DJ and producer, working together with such stars as Kylie Minogue, Britney Spears, Sia, Charlie XCX and Kelis. Moroder’s performance will be preceded by the musical meeting with Maria Sadowska – a vocalist, producer, and director of feature and documentary films. Sadowska is the author of video clips for Renata Przemyk’s, Edyta Geppert’s, Krzysztof Kiljański’s and Michał Bajor’s songs. In June 2006 her record Tribute to Komeda was released, It was devoted to the memory of the composer, containing recordings of his instrumental pieces. The top Polish jazzmen, including Michał Urbaniak, Jan Ptaszyn Wróblewski, Robert Majewski, Krzysztof Sadowski, and Zbigniew Namysłowski participated n the recording. A year later Sadowska had her feature-length debut NON-STOP KOLOR. A few months ago her biography of the prominent Polish sexologist Michalina Wisłocka, Sztuka kochania (The Art of Love) came out. The outdoor dance party will be closed by the Polish DJ, composer and producer – Wojtek Urbański. The audience knows him from DJ collective RYSY. For years he has composed music for animations, theatrical performances, films and fashion shows. As a composer of theatre music he cooperated with Ewelina Marciniak who staged Jacob’s Books at Powszechny Theatre, and wrote music for Map and Territory at Wybrzeże Theatre. Many times award-winning for his music and sound design. In 2016, together with RYSY, nominated for Fryderyk 2016 Award for his debut album Traveler. The artist is known for his theatre-associated subtlety and romantic air combined with the strong beat of techno music. ”New music is for me, first of all, my personal experience. One of the most important questions is if what I do sounds fresh and adds to the vitality and functionality of world music. This appears to me of the greatest importance – says Urbański in his interview for ”Aktivist!”. At the end of the May night, Urbański will present his solo project, which deeply explores techno music inspirations.